Supports correct knee practicing by moving straps up so that user does not hold it during knee practicing but holds the hands around the bottleneck instead - that is the correct way to practice knees. At the same time, training area is extended by moving nylon straps up. 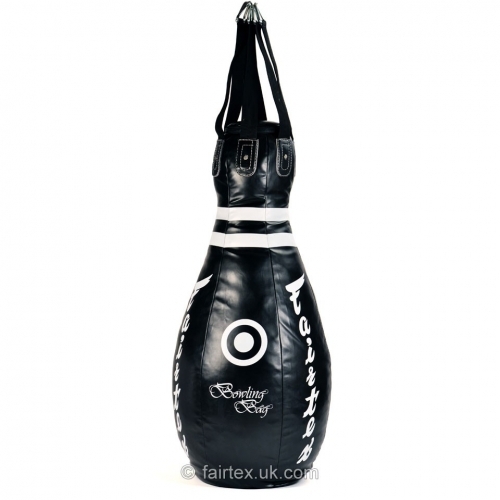 With proper installation, this bag is also designed for low kick and neck kick practicing as well.